Football is one of the most popular sports in the United States. Approximately 1.5 million kids in junior high and high school play the sport, and roughly 75,000 young adults play on the collegiate level. Football, due to the impact of hitting, has one of the highest rates of injuries of any sport. 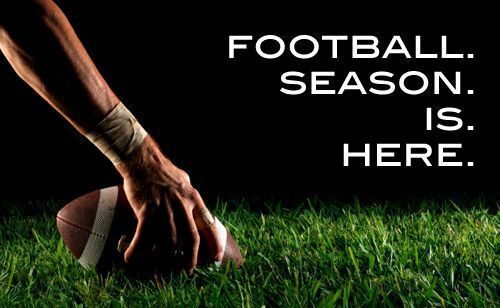 An estimated 600,000 injuries occur each year to football players. Many of these injuries occur in the foot and ankle. This article will describe these injuries, and how they can impact a player's abilities. Since many football players inherently have to plant their foot to accelerate away, injuries to the ball of the foot are very common. The ball of the foot, located at the base of the toes, is made up of the heads of the long bones of the foot, called the metatarsals. The metatarsal heads bear the brunt of much of the foot's propulsion off of the ground. Continued forceful pushing off at this part of the foot over time can lead to inflammation of the tissue surrounding the bottom of these bones, or to protective pads of tissue that sometimes forms under or in between these bones. Called capsulitis and bursitis, respectively, these injuries can cause persisting aching pain in the ball of the foot, and can affect one's acceleration. When the injury is under the base of the big toe, a small pair of egg-shaped bones unique to this area can become the cause of the pain. Called sesamoids, these two bones can become bruised or inflamed (sesamoiditis), or even fractured. This condition is often more painful than capsulitis or bursitis, and can make running painful. The big toe joint is strong, but is still at risk for developing a sprain injury. The term turf toe, originally used to describe an injury of the big toe joint as it struck and caught downward on artificial turf, actually describes a number of different sprain patterns to the joint. Turf toe injuries can occur when the big toe is either forcefully moved up or down against the ground. This results in the ligaments attached to this joint tearing, often with damage to the underlying sesamoid bones as well. Turf toe injuries often result in long term pain in the joint as it bends, and over time it can result in joint stiffening. This limits the ability to effectively push off during acceleration, and can also affect a kicker's performance. Football players, like any athlete in a sport that requires running, develop nail disease. The pressure on the toes in cleats during running, as well as injury from being stepped on by another player, leads to damage to the nail root cells and the skin under the nail itself. This results in thickened, misshapen nails and nail bruising respectively. Toenails that are so damaged can be very painful with simple pressure on the nail, making shoes uncomfortable to wear. Fungus from chronic athlete's foot infection commonly transmitted in locker rooms can also enter the nail, leading to a nail fungus infection. An infected toenail can become thick, crumbly, loose, and painful. Ingrown toenails can also become painful from pressure from a tight shoe or from being stepped on. Contrary to popular belief, ingrown nails do not form as a result of one's cutting technique, as the nail grows inward from its base either from birth or gradual nail root damage. The ingrown nail may not actually be painful or even noticed until the skin next to it becomes inflamed, which can happen in a tighter shoe or when one is stepped on. This can lead to ongoing pain and infections on the side of the toe. A simple procedure in the office can end this problem permanently, unlike the rest of the conditions described in this article which mostly require recuperation and therapeutic treatment. In football, there is not as many injuries to the heel and arch as in other sports in which athletes run more consistently, such as soccer and basketball. However, these injures can occur in certain positions, such as linemen and running backs who accelerate and drive forward out of a three point stance. The ligament on the bottom of the arch (the plantar fascia), can become strained or even torn. This results in heel and arch pain when bearing weight. Ankle sprains commonly occur during maneuvers that require changing direction or a cutting motion as the body twists away from the injury side. They also occur when another player falls on a downed player's leg, or when there is a divot in the field that the ankle twists into Almost any position suffers this injury, but it is especially common in running backs. The usual site of injury is the set of ligaments on the outside of the ankle that support it and keep it stable. As the ankle twists, the ligaments will stretch and tear. This causes pain and weakness to the ankle. Ankle sprains can range from minor to severe, and fractures can even result during significant sprain injuries. Severe ankle sprains can keep players off the field, and require specific rehabilitation to avoid the ankle being chronically damaged and weak. Behind the ankle, some people have an extra bone called an os trigonum. This small bone sits in between the two bones that form the top and dome of the ankle joint. During certain actions, such as accelerating out of a three point stance, this bone can become compressed by the ankle, leading to inflammation and pain. In addition to this, a tendon that helps flex the big toe down also runs behind this area, and can become irritated or impinged by the bone and the inflammation around it. The resulting pain when the ankle is flexed makes running and pushing off during acceleration difficult. The Achilles tendon plays a very important role in one's ability to simply stand in a stable manner and walk. Injuries to this tendon are common if football, especially with quarterbacks who must repeatedly drop backwards and plant their foot before throwing. The Achilles tendon can become inflamed and weakened from chronic strain, and can even rupture. While Achilles strain and tendonitis can making planting the foot and pushing off the ground painful and difficult, an Achilles rupture can make these motions impossible and requires surgery to repair. Football as a whole is a very popular sport that sees it share of injuries due to its aggressive nature. The foot and ankle is not spared in these injuries. With proper conditioning and the selection of properly fitting and supportive cleat shoes, these injuries can be reduced. When they do occur, prompt treatment by a team of foot specialists, physical therapists, and athletic trainers can make the difference between a quick recovery and a prolonged absence from the field.